Harrison Dale whacked a pair of two-run doubles and pitched four shutout innings as the Everett[more] Black Sox Junior American Legion team improved to 16-0 on the season with a 15-2 romp in five innings over Hot Springs Lakeside Wednesday night. The Sox racked up 15 hits. Along with Dale, Connor Tatum, Dalton Holt, Evan Lee, Devin Dupree and Blake Patterson each had two. Drew Tipton walked twice and was hit by pitch, scoring all three times. Dale allowed a couple of singles in the third and a two-out double in the fourth. He walked two, hit a pair and struck out three. Holt relieved in the fifth and Lakeside scored a pair of unearned runs with two errors, two walks and an RBI single. But Holt eventually struck out the side. 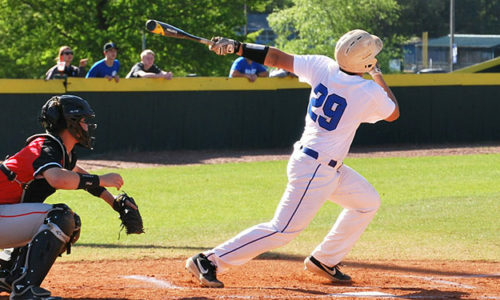 Bryant Everett plays again on Saturday at 4 p.m., against Hot Springs Village. The Sox came into the game hitting .360 as a team and improved on that. A four-run first put them in the driver’s seat. Tipton was hit by the second pitch of the inning, took second on a wild pitch and stole third. Holt shot a single into left to drive him in. With Lee at the plate, Holt was picked off first but, taking off for second, beat the relay for a stolen base. Lee’s grounder to the right side got him to third. Walks to Patterson and Dupree loaded the bases for Dale, who yanked his first double into the left-field corner, driving in two. Brandan Warner picked up an RBI with a grounder to short, making it 4-0. After Dale had hit a batter and walked one in the first, he issued his second walk with one out in the second but the Sox turned a doubleplay, starting with a splendid play by Tatum, who ranged behind the second-base bag from shortstop, made a back-handed flip to Tipton for the force. Tipton fired to first in time of the inning-ending doubleplay. Lakeside got around a lead-off walk in the bottom of the inning with a doubleplay started by shortstop Reece Nickles. The top of the third started with a bloop single to right-center by Zach Goins for Lakeside’s first hit. Blake Spilker singled to right but then Dale picked Goins off second and got Nickles to fly to right. Andrew Spakes was plunked by a pitch but Dale got Tanner Rice to ground out to Warner at third to end the threat. Bryant followed up with nine runs on nine hits, three Lakeside errors, a walk and a hit batsman to blow the game up. Lee started the blitz with a double to left-center. Patterson singled him in then Dupree ripped a double to left to set the table for Dale’s second two-run double, which made it 7-0. Despite a pitching change, the onslaught continued. Dale stole third then sauntered home when Warner drove a 2-0 pitch into the gap in right-center for a triple. And when the relay from the outfield was mishandled by the Lakeside shortstop, Warner came on in as well. With one out, Tatum hustled to beat out an infield hit to get things started again. Tipton walked. Holt skied to center and Tatum tagged and went to third. Again, the relay was mishandled and Tipton took advantage to move up to second. So both were able to score when Lee ripped a single to right to make it 11-0. Patterson followed with a shot over the head of the centerfielder that he legged out for a triple. Moments later, he scored on a wild pitch before Dupree singled to left. Dale struck out two in working around a two-out double by Blayne Porterfield in the top of the fourth. In the home half, the Sox put the finishing touches on the rout. 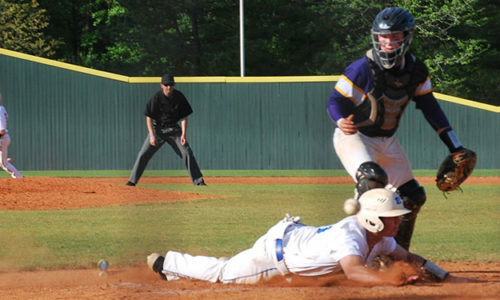 Tipton drew a one-out walk then Holt and Hunter Oglesby each singled to load the bases. With two down, Zach Jackson ripped a single to left-center, driving in Tipton and Holt to make it 15-0. Holt struck out the first batter he faced in the fifth then consecutive errors extended the inning. A walk loaded the bases before Holt got another strikeout. But a wild pitch allowed Spilker to score. A strike away from ending it there, Holt missed on a 3-2 delivery, walking Kyle Lightsey to fill the bases again. Erick Aguirre’s bloop single to right plated Nickles but Holt ended it there by striking out Porterfield. E—Nickles 2, Goins, Gentry, Jackson. DP—Lakeside 1, Bryant 1. LOB—Lakeside 8, Bryant 6. 2B—Dale 2, Dupree, Lee, Porterfield. 3B—Warner, Patterson. SB—Tipton, Holt, Patterson, Dale. HBP—Spilker, Spakes (by Dale), Tipton (by Lightsey), Dale (by Spilker). WP—Lightsey, Spilker, Holt.